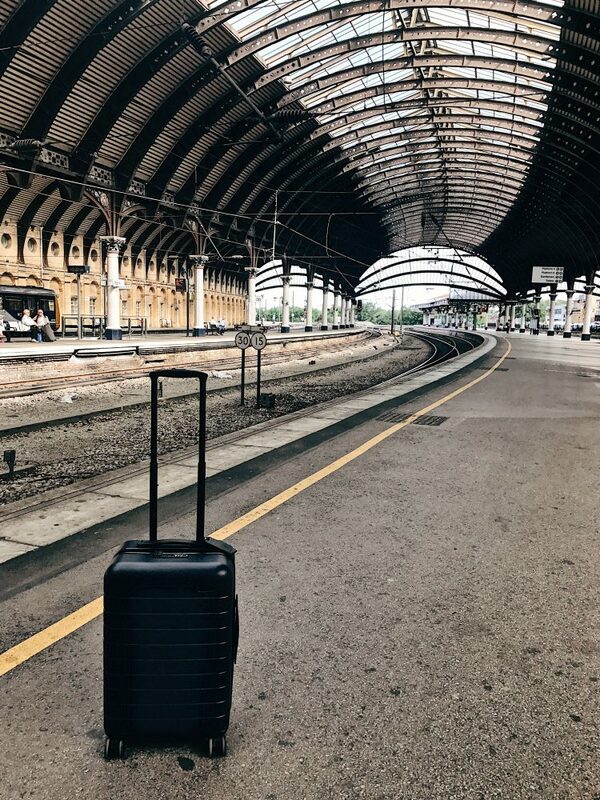 I received my navy Away carry-on in time for my trip to Manchester and York, and I have to say, all in all, it was an awesome travel companion. I managed to fit 4 days of clothes in the TSA approved carry-on – including two pairs of jeans, a couple striped shirts, Outdoor Voices hoodie and sweats, a Patagonia jacket and a pair of Stan Smith sneaks. 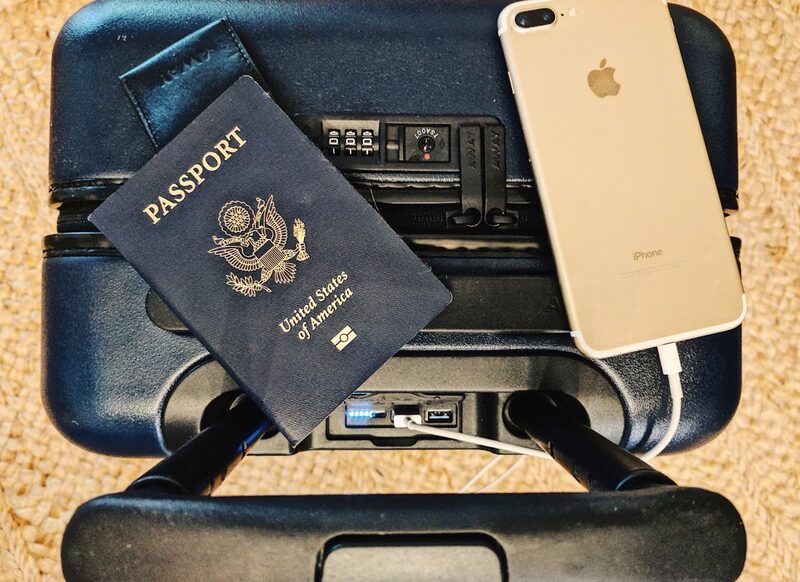 While I managed to fit plenty of essentials in my suitcase, I ran into a few hiccups along the way so I thought I would share all of my pro tips for traveling with an Away suitcase. Let me help you. 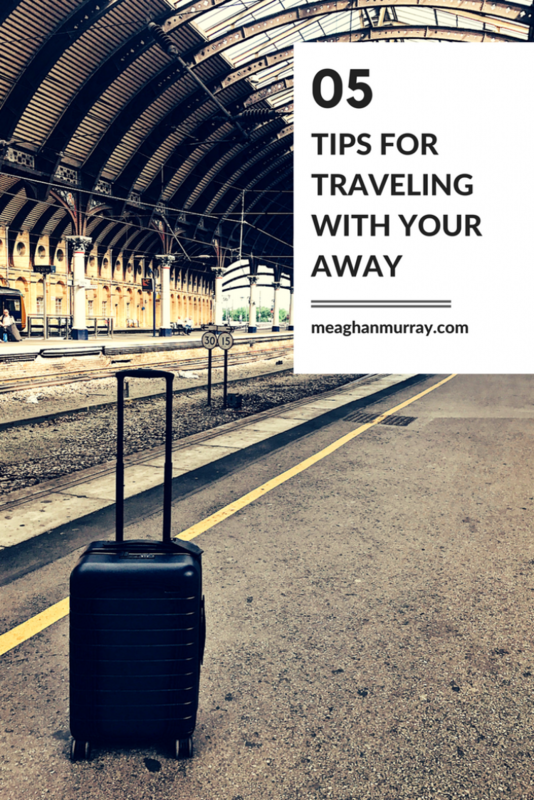 I get it, packing in a carry-on is hard, but do not pack your Away to the max. You will most definitely end up with more things than you came with and you will want the space. Also, if you do overpack and then buy more things, good luck zipping your bag. Being ruthless in the beginning is key. Away created the separate compartments for a reason. So use them appropriately. 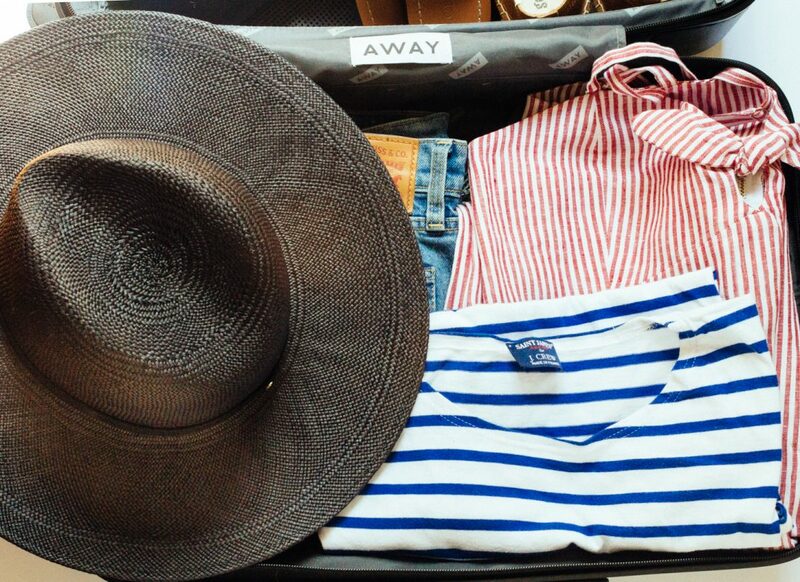 Roll, fold or however you pack your clothes, use the bottom/back of the suitcase for clothes. 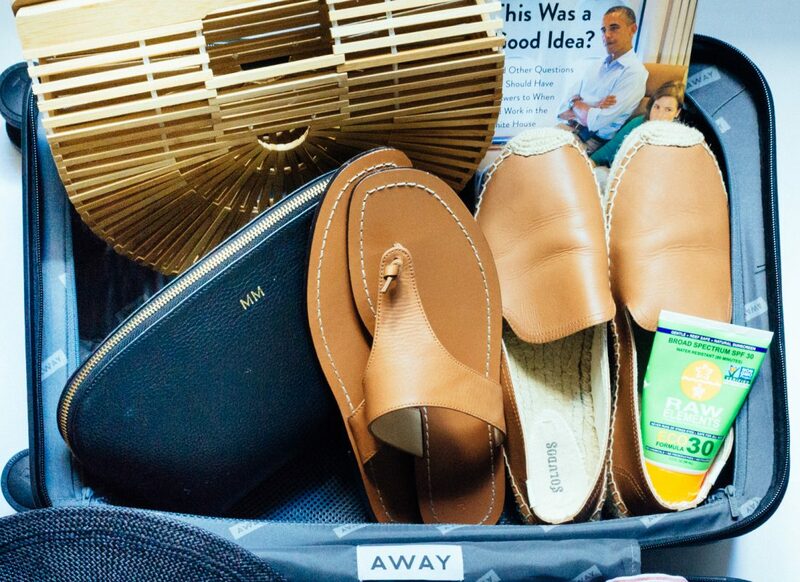 The zipped compartment is for your shoes and toiletries. You can fit A LOT in this compartment. If you don’t believe me, you’ve packed too much. The built-in battery is great, but if you remove it from the bag to charge it, make sure you put it back in the right way. TRUST. You don’t want to have to open up your packed bag on a train halfway through the English countryside to unscrew it and then re-screw it back in the correct way. It’s awkward. UPDATE: Away launched a battery replacement program – for FREE.99. I entered my home address and they shipped me an easily removable battery for my luggage which I installed all by my lonesome. Away thought of everything for you, so take advantage of it. 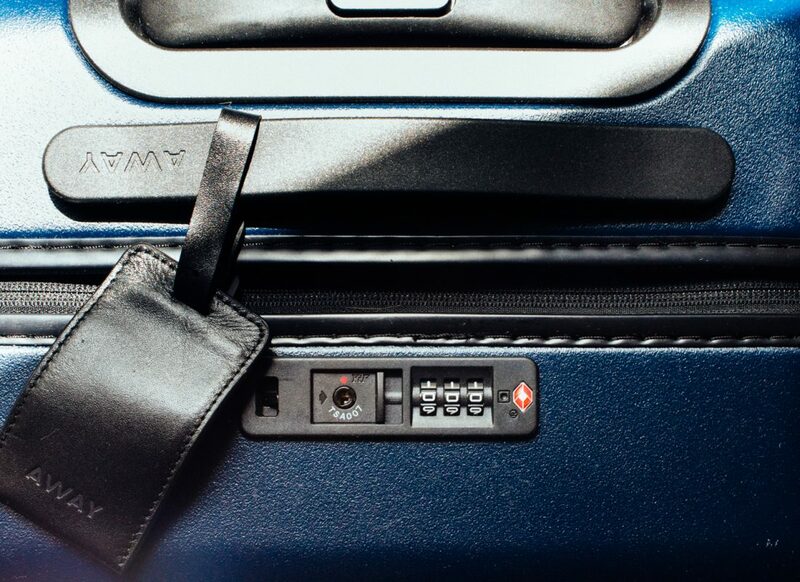 The lock is useful if you’re storing your luggage away from your seat on train rides. They include a laundry bag in the suitcase. It’s great for – wait for it – laundry. I also like to use the compartment separator for my laptop, books, or for my phone charger. 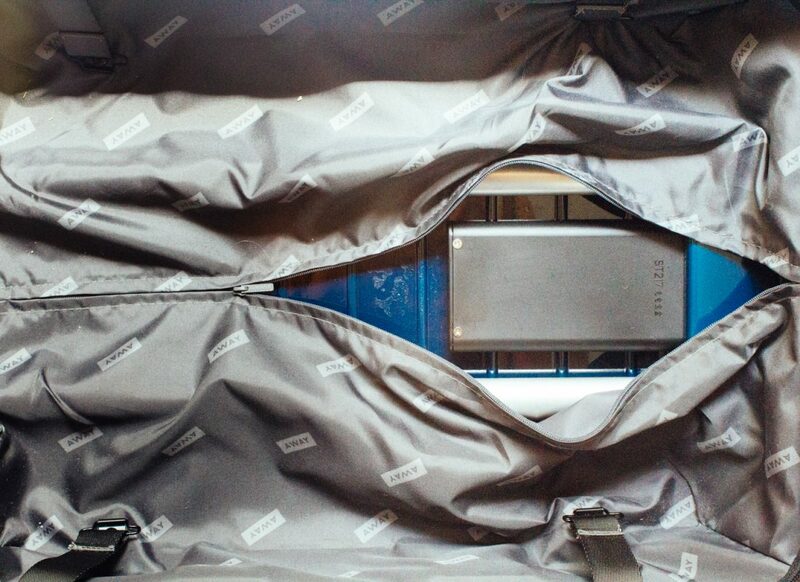 I know the battery is what makes the Away suitcase awesome, however, it’s not awesome at the security checkpoints. This may be the result of some new heightened precautions but I have stood at the end of the conveyor belt for 30 mins while my bag went through the x-ray machine 3 times. It was also swiped for bomb matter multiple times. To save yourself a headache, remove the battery before you go through security or board your plane. Regardless of any potential hassle, I totally recommend the Away bag. It’s durable, a perfect size and has all of the extras you might need. These tips will only help you have a more seamless trip. 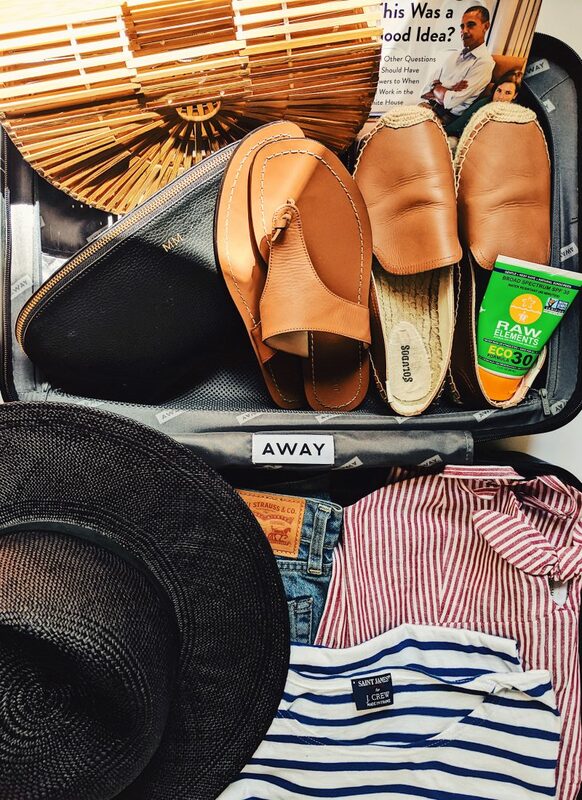 And because you deserve it, here’s $20 off your first Away luggage purchase. A million thank yous to Away for partnering on this post. This post contains affiliate links. Next Post My Top 10 Bars. Anywhere.